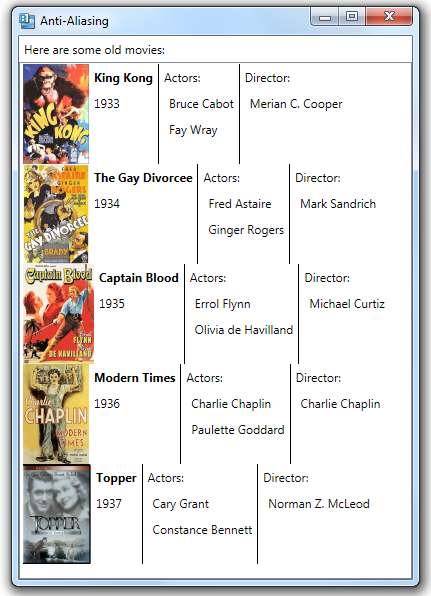 This post continues the example of displaying information about a series of movies in a ListBox, using data binding. In previous posts, we created code for a Movie class and filled an ObservableCollection<Movie> with movie data. To complete this example, we just need the XAML code. Below is the XAML that defines a ListBox that contains the list of movies. We set the ItemTemplate property to a DataTemplate that defines the layout of each item in the list. We then use data binding to bind to properties of the Movie class. I like your posts..short and to the point.